Fruits That Start With Q - Not much fruits with name starting from Q, but we have found some and you can see what fruits that start with Q in the list below with they pictures and descriptions. Quararibea cordata fruit tree scientific name is Quararibea cordata. Quararibea cordata is a fruit tree native to Amazon rainforest and can be found in Brazil, Bolivia, Peru, Panama, Costa Rica, Ecuador, Venezuela and Colombia. Quararibea cordata is a large fruit that can growth in rainforest fertile soil up to 45 meters. The fibrous yellow-orange pulp of quararibea cordata is sweet and is eaten raw. The flavour of quararibea cordata fruit is reminiscent of a very sweet pumpkin with overtones of mango with apricot. 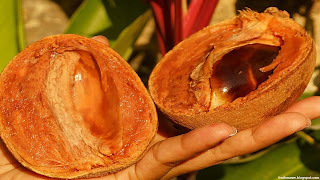 Quararibea cordata also called with other name like : South American sapote and chupa-chupa. Queen Anne cherry fruit tree scientific name is Prunus avium. Queen Anne is one of cherry variety with sweet taster and light colored like common cherries. 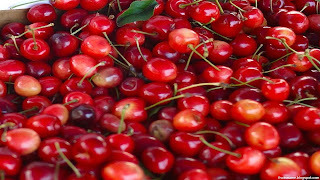 Queen Anne cherry very similar looks and taste like Rainier cherry and they was commercially grown in Michigan, Oregon and Washington. Queen Anne cherry also known with other names such as : Royal Ann, Royal Anne and Napoleon Bigarreau. Quenepa fruit tree scientific name is Melicoccus bijugatus. Quenepa is a fruit tree native to dry forest in Caribbean, South America and Central America and can be found in Cuba, Cayman Islands, Antigua and Barbuda, Costarica, Colombia, El Savador, Honduras, Barbados, Honduras, Nicaragua, Panama, Venezuela and Guatemala. Quenepa tree can growth up to 25 meters and they was cultivated for its ovoid and green fruit. 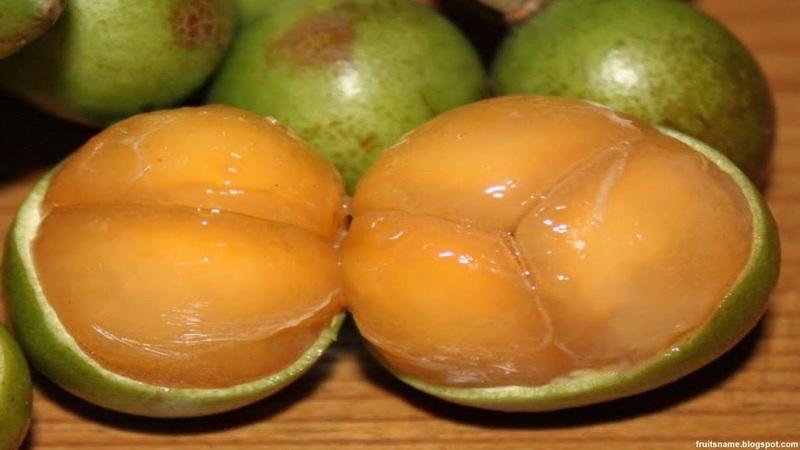 Quenepa fruit can be sweet or sour defending on the cultivars. Quenepa pulp is orange, salmon or yellowish in color with a little juicy and pasty texture. 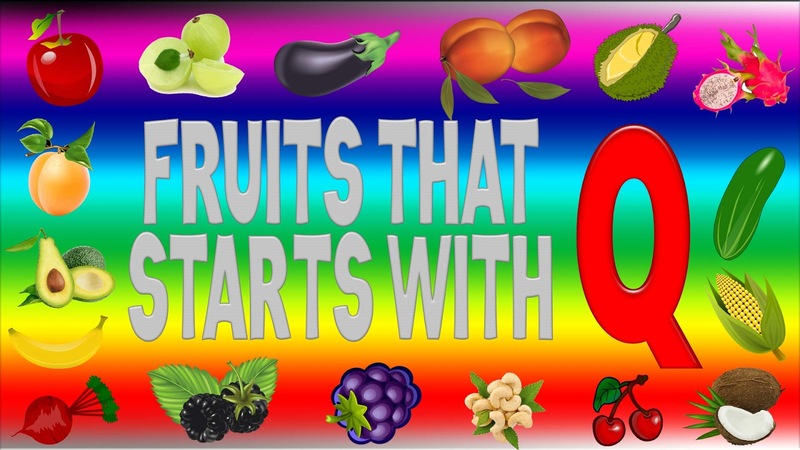 Because they was grow in many regions, they also have many names such as : mamoncilo, mamon, chenette, quenette, gnep, ginep, guaya, skinnip, skinup, spanish lime, limoncilo, ackee and xenepa. Quince fruit tree scientific name is Cydonia oblonga. Quince is a fruit tree native to rocky slopes and woodland margins in Southwest Asia, Armenia, Argentina, Turkey, Georgia, Spain and Iran. In year 2012, Turkey recorded as the biggest quince producer following with China, Uzbekistan, Morocco, Iran, Argentina, Azerbaijan, Spain, Serbia and Algeria. Most quince varieties are to hard to be eaten raw, that's why most quince was cooked or roasted first and then used to make pudding, marmalade, jellies and jams. 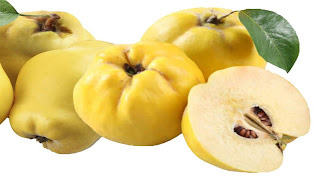 However, some quince varieties like Kuganskaya and Aromatnaya is not to hard and can be eaten raw. Beside grown for its fruit, quince tree also grown for ornamental trees because they have attractive pale pink blossoms and also to make bonsai tree. Quince other names was : quitte, quittenbaum, bedana, coing, coudonnier, cognassier, marmelo, membrillo and pyrus cydonia.